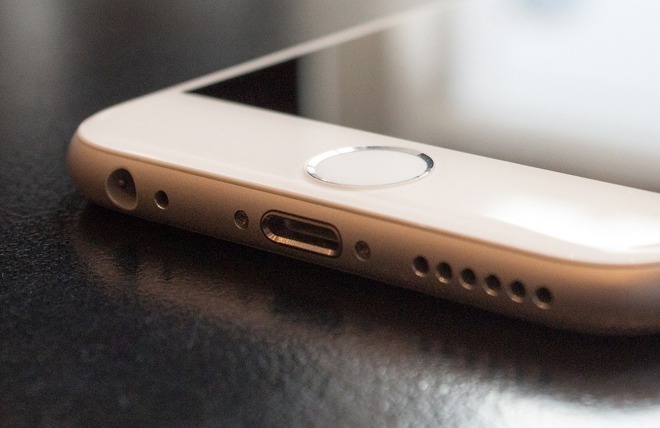 Apple is considering new ways to improve the water resistance of the iPhone and other products by making a "liquid-tight" seal when a connector is plugged into a port, preventing anything from entering the outer casing and causing corrosion to any internal component. In many cases, making a device water resistant simply involves adding a gasket and a plugging cover, or limiting the amount of liquid that can enter the port at all when left unused. While effective when the port isn't being used, plug-style solutions are not necessarily effective when the port is being employed to connect an accessory, something Apple may have an answer for. 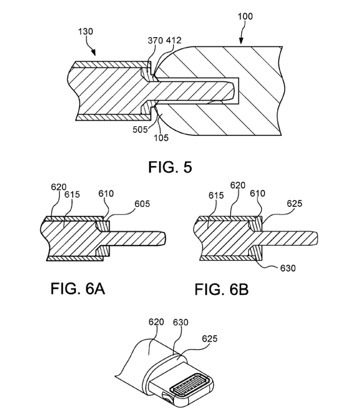 Published on Tuesday, the patent for "Sealed accessories for electronic devices" attempts to solve the water ingress problem by using a connector with a deformable seal, one that would make the port liquid-tight. It is suggested such a connector would be useful for accessories meant for moist, wet, and dirty environments. The patent outlines a number of ways this can be accomplished, but generally consisting of using elements of the connector to create the seal within the port, rather than the port itself having the protective elements. Illustrated with various forms of Lightning connector, one version includes a rubber ring partway down the connector that acts as a gasket, creating the seal within the port. Another version uses deformable material further down the connector, extending from the sheath. When fully inserted into the socket, the seal is wedged into the opening, plugging the hole. A third uses a tapered connector that is thin at the tip but as large as the port closer to the cable's casing, again to minimize any gaps that could let in water. There is also the mention of using a vacuum generator to add more protection. Rather than sucking away moisture, the pump instead generates a vacuum that draws out a deflective section used to prevent water ingress, but that can be pushed out of the way with a connector. The patent appears to be an extension of Apple's existing work to make its devices more resistant to water at their most vulnerable parts. 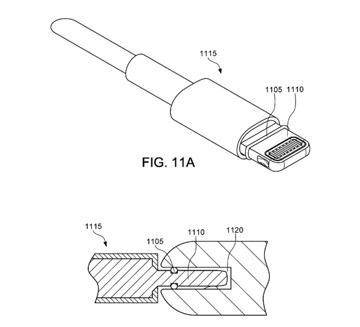 One patent application from late 2015 suggested the use of self-healing elastomers to cover connectors and ports, with connectors penetrating the seal to touch contacts. Apple has also been granted patent for water-resistant speakers, including a port that uses a mesh "umbrella" to deflect liquids away from the main audio channel. The company applies for patents covering many areas on a weekly basis, but the existence of a patent or application is no guarantee that the technology will make it into a consumer device in the future.